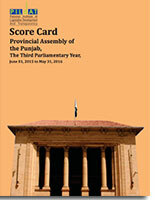 This is Urdu Executive Summary of "Scorecards on Honourable MNAs' Performance : 2015-2016"
This is Urdu Version of "Score Card: Provincial Assembly of Sindh, The Third Parliamentary Year, May 29, 2015 to May 28, 2016"
This is Urdu version of "Score Card: 14th National Assembly, The Third Parliamentary Year, June 01, 2015 to May 31, 2016"
This is Urdu version of "Scorecards on Honourable Senators' Performance : 2015-2016". From the inception of the organisation, PILDAT built into its work both Legislative Development as well as Legislative Performance Assessment. 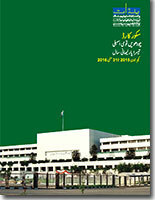 As a Parliamentary monitoring organisation and being signatory to and supporting organisation of Declaration on Parliamentary Openness, PILDAT firmly believes that parliamentary information belongs to the public and without facilitating public to understand and have access to parliamentary performance, citizens cannot hold their public representatives and elected institutions to account. 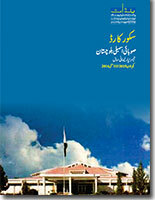 Based on the belief that parliamentary democracy can best flourish when citizens understand parliamentary performance and hold their elected representatives to account through the performance in Legislatures, PILDAT developed an in-house framework to assess the performance of Pakistan’s Legislatures. 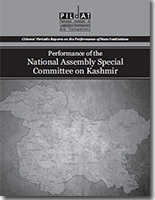 As a pioneer in this field, PILDAT used the framework to seek and use data on legislative performance to analyse and publish periodic and annual reports on performance of National Assembly, the Senate and 4 Provincial Assemblies. 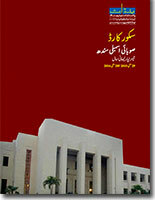 In addition, PILDAT has also carried out individual assessments of various Standing Committees. The PILDAT framework has been refined over the years learning from other assessment frameworks while PILDAT also began to use the Inter-Parliamentary Union toolkit for Evaluating Parliament as part of its assessment. PILDAT assessments have also been guided by the belief that objective analyses of performance of legislatures in Pakistan must offer proposals for legislative reform that can positively contribute to legislative development and strengthening in Pakistan. This has meant that legislative performance assessments PILDAT have been designed in a way that theses include score by PILDAT Expert Evaluation Groups comprising current and former legislators, eminent lawyers, and media persons based on a series of Key Performance Indicators identified in the Inter-Parliamentary Union (IPU) toolkit. 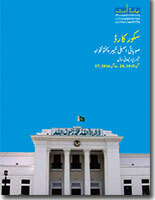 Many reform proposals identified through PILDAT’s legislative assessments over the years, therefore, have resulted in strengthening of legislative processes in a number of Pakistan’s legislatures. While assessing performance of legislatures, PILDAT has studied the performance and good practices adopted by many international Parliaments, thus providing comparative analyses for Pakistan’s Legislatures and Citizens. In addition to study and analyses of international legislative good practices, PILDAT has facilitated many Study Visits to various Parliaments to understand and learn from these practises. These have included studying and interactions with Parliaments including India, United Kingdom, United States, Germany, Turkey, Denmark, Indonesia, South Korea and South Africa, in addition to international forums on parliamentary openness and accountability. PILDAT’s initiative of Parliamentary Accountability and Transparency does not only include assessment of performance of Pakistan’s Legislatures. 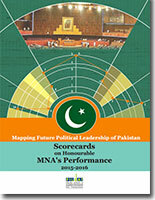 Of late, PILDAT developed another framework, learning from international and regional good practices, to study and develop score cards on performance of individual legislators. 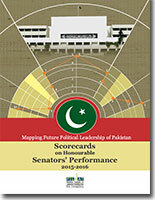 As a result, PILDAT has compiled and published Score Cards assessing performance of honourable Members of the National Assembly and the Senate of Pakistan.